The Neu Scrapbooking Store (Libby's Place) is located on the south side of Indianapolis, At the corner of Thompson and Carson - 3158 E. Thompson Road. We carry scrapbook supplies, rubber stamps and inks and some mixed media supplies. If you are looking for something particular we may be able to order it as well. We try very hard to carry products that cannot be found at the chain stores and our selection changes often. We have a workroom with three large tables that confortably seat 18 guests for cropping and classes. Our workroom is free to use on a first come first serve basis any time there is not a class or special event scheduled in the store. 12 hour crops are held most months. 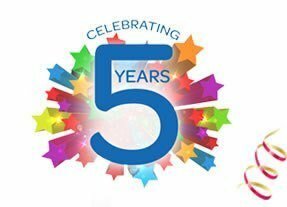 Independent instructors are invited into the store to teach classes so there are a variety of classes offered from chipboard books and scrapbook layouts to paper dolls and various technique classes including beginner, intermediate and advanced Copic marker instruction. 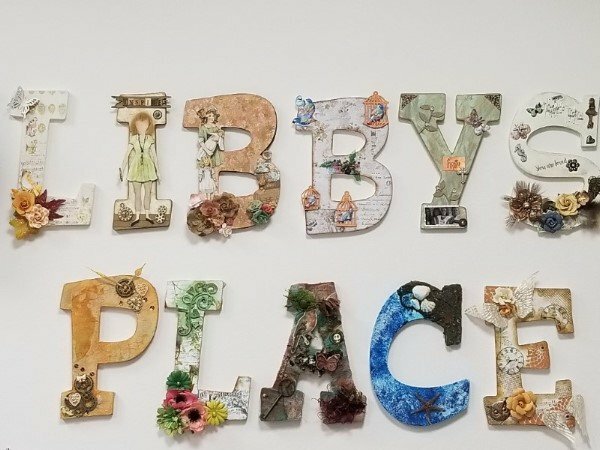 A very big thank you to all of our customers who helped created the "Libby's Place" letters.